Adam lay with his wife, Eve and she became pregnant and gave birth to Cain. Later, Eve became pregnant again and gave birth to Abel. Cain worked as a farmer and grows fruits and vegetables for a living. Abel is a shepherd and keeps sheep. One day, both Cain and Abel brought an offering to the Lord. Cain brought an offering of the fruits from the ground but Abel brought an offering of meat from the firstborn of his sheep flock. The Lord was happy with Abel offering but he was not happy with Cain’s offering. Cain became jealous of his brother Abel and make plans to kill him. 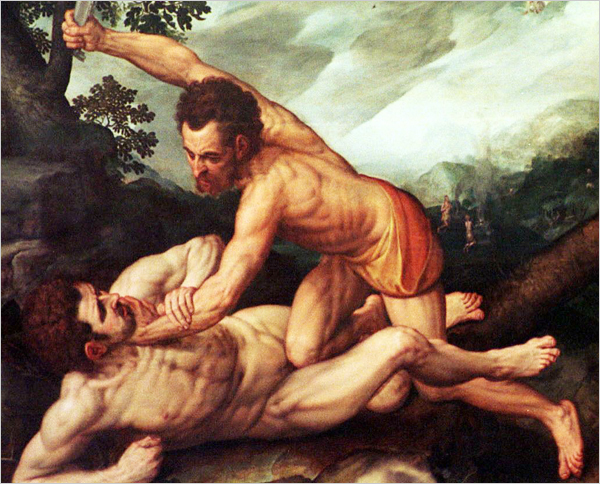 One day, when Cain and Abel were in the field together, Cain rose up against Abel and killed him. God punished Cain so that no matter how he toil and till the ground, no fruits or vegetables will bear for him. Therefore, God put a mark on Cain so that anyone who tries to kill Cain for avenge on Abel will be punished seven times more than Cain.